Keno and pokies are two very different types of casino games, but there are some similarities that lie in the luck based format and easy play style of both games. If you’re new to gambling, keno and the pokies both offer good starting points as neither game requires any particular skill or strategy to increase your chances of winning. We take a look at the similarities and differences between these two popular online casino games to help you determine which one is more suited to your tastes. Are the graphics better in keno or pokies? The graphic quality and levels of animation used by leading software providers at our recommended online casinos (Microgaming, NetEnt, etc) are of the highest calibre, so whether you choose to play the pokies or keno you’ll be playing games that are visually engaging. The main difference is that because video pokies can follow so many different themes and use the addition of bonus features and bonus games, pokies have much more room to move with graphics and are therefore visually superior to keno. 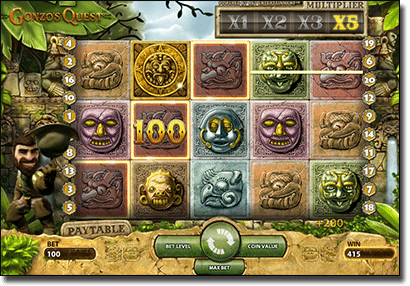 Keno is limited in its use of graphic design due to the main element of the game being a plainly numbered board, so there’s not much that developers can do beyond that. If you’re looking for a game that’s technically advanced with graphics on par with video console games and cinematic animation, the pokies is the clear winner. Is there more money to be won in the pokies or keno? Whether you’re playing keno or the pokies the amount of money you can win from a single game depends on the individual game at hand. Some online slot games come with huge jackpots, with progressive jackpots like Mega Moolah starting with a base jackpot of $1 million and increasing all the way into the tens of millions, while other basic pokies only have jackpots of a few hundred dollars. The amount you can win on the pokies is also based on how big your wager is (with some game jackpots only triggered if the maximum bet is in play) and how many active paylines are in play. In a similar fashion, the amount you can win in keno depends entirely on the game you’ve chosen as well as the wager you’re placing. Betting on more numbers in keno means the chances of hitting one of those numbers is increased compared to only betting on a couple of numbers, while choosing to bet on only a couple of numbers means you stand to win a higher amount if you do have a hit. The bottom line is that the amount you can win in keno or pokies depends on the specific game you’re playing and the active bet that you’ve placed. Generally, online pokies have bigger jackpots than online keno, whereas land based keno has produced many multi-million dollar winners. Like the differences in jackpots, the betting requirements for keno and pokies depends on the individual game you’ve chosen to play. Pokies can be played online for wagers starting from one cent per spin, while some games will allow a maximum bet of up to $300 per spin. 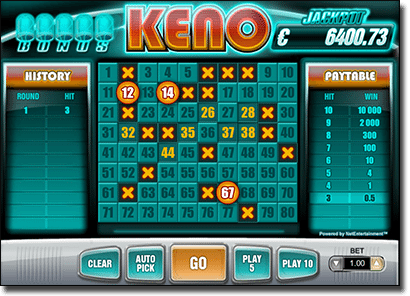 Wagering in online keno is typically limited to a minimum bet of $1 and a maximum of $10. This means that recreational players with smaller bankrolls may be more inclined to play pokies to make their money stretch further but only if playing the minimum bet on a low wager game. The difference in game variety between the two makes pokies the hands-down winner. A giant selection of great pokies can be found at all leading online casinos, while keno isn’t always an option. Casinos that do offer keno are usually limited to a couple of keno variants per site, while some casinos have over 900 pokies from reputable software providers. Mobile players will also be spoiled for choice when it comes to playing pokies on tablets or smartphones, while keno players may be stiff out of luck for playing keno on the go. The verdict – is keno or pokies better? This is a question that only you can decide. Some players are magnetically drawn to the spinning reels of the pokies while others enjoy selecting their lucky numbers on a keno board and watching as their picks come up. Now that you have a clearer understanding of the differences between game variety, wagering requirements and graphic quality head to one of our recommended casinos and give both keno and pokies a go and decide for yourself which you enjoy better. Our top-recommended keno website for both pokies and keno lovers is AllSlotsCasino.com.